The Exigo Olympic Squat Rack is a popular piece of weight lifting equipment. Our contemporary design fits perfectly into the modern gym environment. 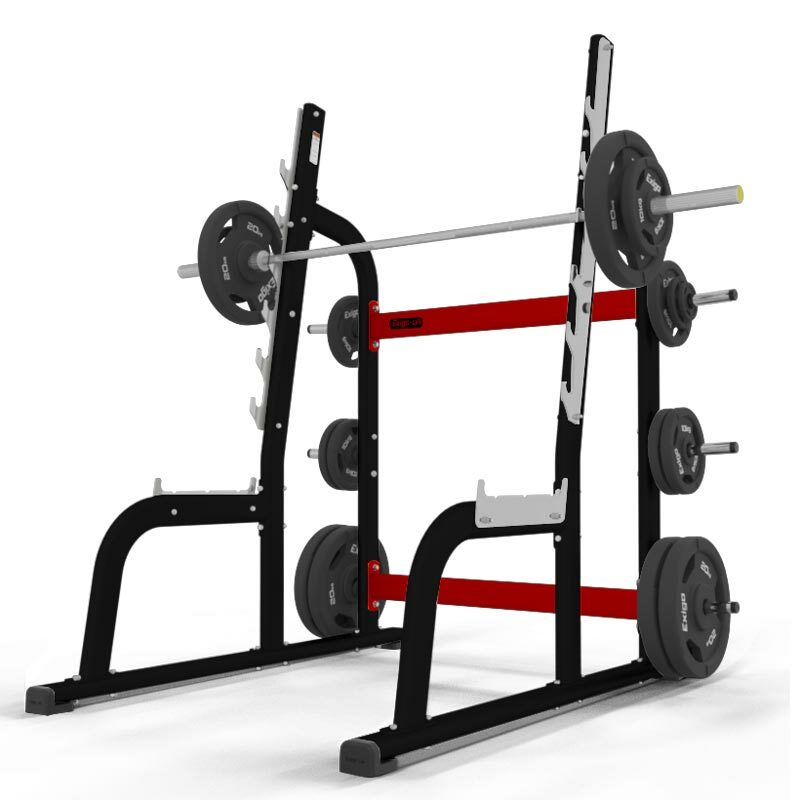 The Squat Rack features six weight horns for plate storage, and a six position bar catcher. Ideal for effective weight lifting exercises in the safety of an enclosed rack. Precision engineered from high grade steel. Supplied with six position bar catchers. Six weight horns for Olympic plate storage. L1750mm x W1274mm x H2035mm.